An ACL prevention program can reduce your risk of ACL injury, and keep you off the sidelines. ACL injuries are possibly the most dreaded sports injury. Ask any high school or college athlete and they will tell you what they fear the most. Prevention programs can be successful, but where do you start? Why does the ACL get torn? ACL tears occur when the knee gets into a postion that puts excessive stress on the ligament. One of the most common ways an ACL injury happens is with landing. Whether it is coming down from a rebound, jump stopping, or landing after a block at the net, the amount of force that your body must absorb when you land can wreak havoc on your knee. In order for ACL prevention techniques to be effective, you must be able to control the position of your knee when landing, changing directions, or stopping suddenly. The key is for your body to react without you having to think about what kind of position your knee is in. 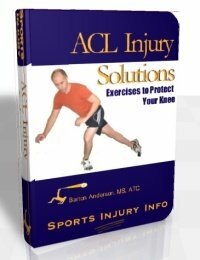 This is something that comes with training and specific exercises designed to help prevent ACL injury. Many people believe that the key to ACL prevention is strength - stronger muscles mean that your knee will be more stable. While this may be true, it is only half of the equation for a successful prevention program. More important than strength is muscle control. When muscles work in your body, they are doing one of two things. They are either causing your joints to move, or they are helping to stabilize and control your joints. Every single thing you do throughout the day involves muscles working together to stabilize, control, and move your body. When an ACL tear occurs, the stabilizing or controlling muscles forget to do their job - this puts your knee in a poor position and leads to an overload of the ligament. The key to a successful ACL prevention program is learning how to improve your muscle control and stabilize your knee. 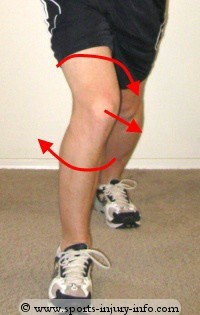 This is the position of your knee that puts your ACL at the most risk. It involves adduction and rotation of the femur towards the middle of your body, and external rotation of the tibia. To visualize this, stand in front of a mirror with your feet about shoulder width apart. Now, try to touch your knees together without moving your feet. See how your knees feel like they want to collapse toward the middle of your body? That is the danger zone, and is one of the most common ways an ACL tear occurs. Getting out of the "Danger Zone"
Keeping your knees out of the danger zone involves two things. Number one, you need to have strong core and hip muscles. Your outside hip muscles (abductors, external rotators) are the muscles that pull your knees away from the middle of your body. These are the muscles that will help to keep you out of the danger zone. The second thing you need is muscle control. When you jump, land, and cut, you don't have time to think about where your knee is positioned. 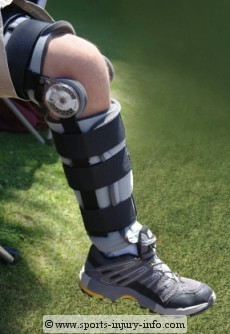 So you need those muscles to be able to react and control your knee without thinking about it. The best way to prevent ACL tears is with a comprehensive program that focuses on improving your hip strength, your muscle control and muscle control, and that trains your body to react quickly and automatically when your knee approaches the danger zone. The good news is that with just a few exercises and a little work, you can significantly reduce the chance of ACL injury. Any good acl injury prevention program must contain exercises that work on your balance, exercises that improve your hip and core strength, and exercises that work on muscle control and jump/landing training. All of these parts are essential. ACL Injury Solutions is a comprehensive 8 week program designed to help protect your ACL. 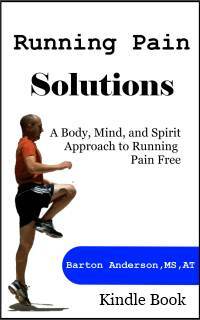 It includes all of the best exercises for improving muscle control, balance, strength, and mobility. If you are recovering from an ACL tear, or want to prevent this dreaded injury, ACL Injury Solutions is for you.